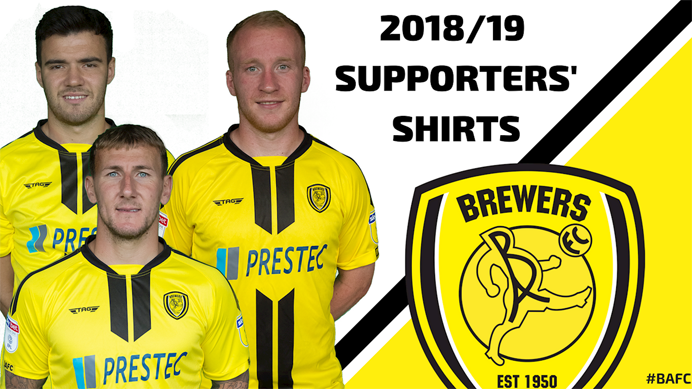 As the new shirt sponsor for Burton Albion Football Club, we are proud to announce that the new season team shirts displaying our company logo are available for sale from the club shop this Friday. The Brewers first team wore the new kit for the opening League One home game of the season on Saturday 4th August. Both home and away shirts will be available in most sizes. The following sizes will be on sale from Friday 10th August. Other sizes will be available from next week.